Step by Step Dry Eye Nutrition by Michael Lange Optometrist and nutrition specialist with Lange Eye Care. Here is a step by step protocol developed by Dr. Michael Lange that will help the majority of dry eye patients if followed. 1. Follow an Organic , Paleo Gluten free diet. This is an anti inflammatory diet that will help dry eye conditions. 2. 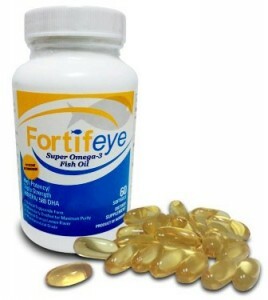 Take Fortifeye Super Omega 2 times a day if under 240 lbs and 3-4 times a day if over 240 lbs. 3. Drink half your body weight in ounces of spring water or good well water. Do not drink reverse osmosis or distilled water due to high acidity and low mineral content. Drink 2 glasses of coconut water a day. 4. Take one Fortifeye Focus gel cap. 5. 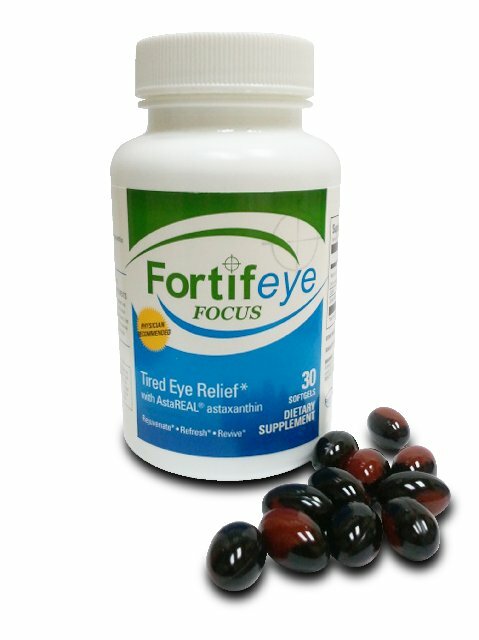 Take Fortifeye Complete Once Daily if weight is 160 or less, Take Fortifeye Complete Plus if weight is between 160-240, Take Fortifeye Complete macular Defense if weight is over 240 lbs. 6. Use Cinnamon and curcumin/ turmeric as spices on foods. 7. Hot compresses 3 times a day for 10 minutes while massaging the lids. My favorite is the bruder mask two to three times a day instead of hot compresses. Bruder mask is $25 and last 10 years. 8. Use Oasis tears plus or blink preservative free in alternation with Retaine lubricating eye drops four to eight times a day depending on severity. 10. Turn off ceiling fan while sleeping at night or wear a sleep mask. Wear good wrap sunglasses while in the wind and sun like oakley, costa del mar, wiley x or mau jim. 11. one last nutrient that can be added to the extreme dry eye cases is GLA from black currant seed oil at 140-160 mg a day. 12. Proper lid hygiene is crucial for dry eye treatment. Scrub eye lashes well with a lid scrub foam (occusoft) 1-2 times a day , am and pm. 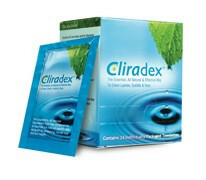 If u have really inflamed crusty lid margins then I recommend using Clearidex lid scrub pads. Michael Lange Optometrist and nutrition specialist says to follow the advise of your optometrist or ophthalmologist when it comes to dry eye treatment. The information in the article is to be used as educational info and never replaces a comprehensive eye exam and dry eye workup. There are prescription medications and procedures that can be done to help alleviate dry eye as well. Dr. Michael Lange has been using proper nutrition and natural approaches to help his patients since 1992 with considerable success. Go to Dr. Langes pinterest site on dry eye to learn more. 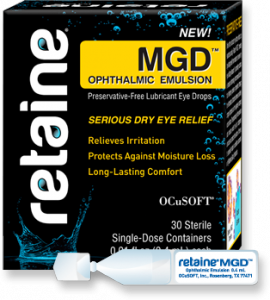 Anything discussed in article can be purchased at http://www.fortifeye.com or discuss with your eye care provider.